This could be the easiest and most delicious Adobo you'll ever make. 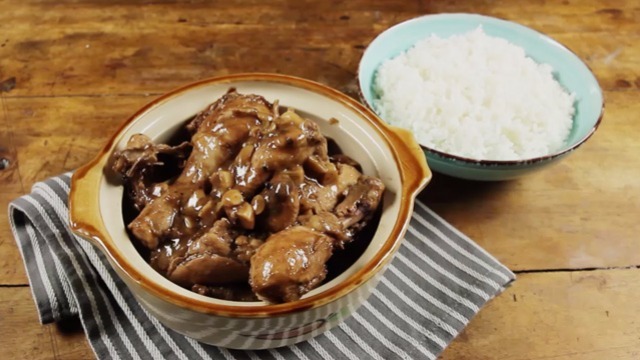 Adobo is one of the most popular Pinoy dishes and it is also one of the simplest to prepare. All you need is a good set of high-quality ingredients, which will take your adobo to the next level. Try making this delicious five-ingredient adobo recipe with this one secret element and you're sure never to look at adobo the same way again! 1 In a medium bowl, combine chicken, MAGGI® SOY SAUCE, vinegar and garlic, mix until the chicken is well-coated with soy sauce and vinegar. 2 Boil chicken mixture over medium heat for 5-10 minutes. 3 Set aside some of the sauce and let the chicken simmer until the remaining sauce dries and the chicken cooks in its own oil. 4 When the chicken is browned on both sides, add the sauce on a separate bowl and simmer until the chicken is tender. 5 Serve on top of steaming white rice. The secret ingredient to this delicious adobo recipe is MAGGI® SOY SAUCE. It gives your dish the right blend of saltiness with a hint of sweetness and linamnam. When you go shopping for your soy sauce, turn the bottle upside down. You'll see that MAGGI® SOY SAUCE is latak-less, meaning there's no residue at the bottom! It is made with select soya beans that go through a natural fermentation process for months. The resulting flavor would definitely turn the ordinary meals you prepare into delightful specialties that your family will love. 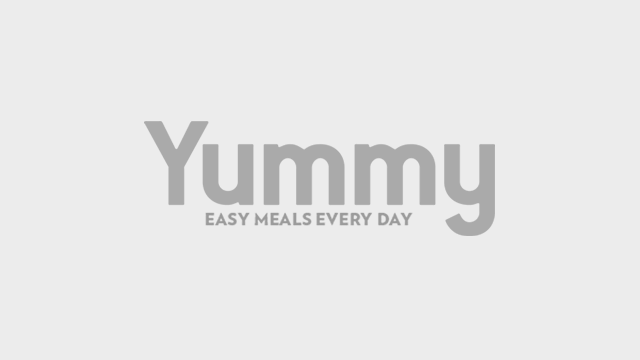 This article was created by Summit StoryLabs in partnership with MAGGI Soy Sauce.